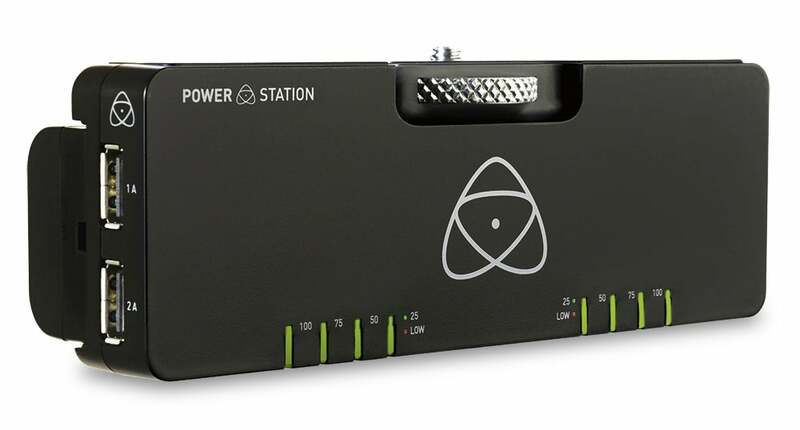 The Atomos Power Station Photo is a dual-battery device for powering your camera and additional devices when you’re on the move or shooting in the field. It’s designed to mount underneath your camera using a 1/4in-20 screw and features a pair of DC outputs to supply power to up to two devices, such as your camera and an external monitor. In addition to the two DC power outputs, the Power Station also features a flexible dual USB power source which can power two USB devices, or one high-powered device, such as an iPad. The Power Station is supplied with a pair of 2600mAh batteries, and optional adaptors for Nikon EN-EL15 and Canon LP-6 batteries are available. 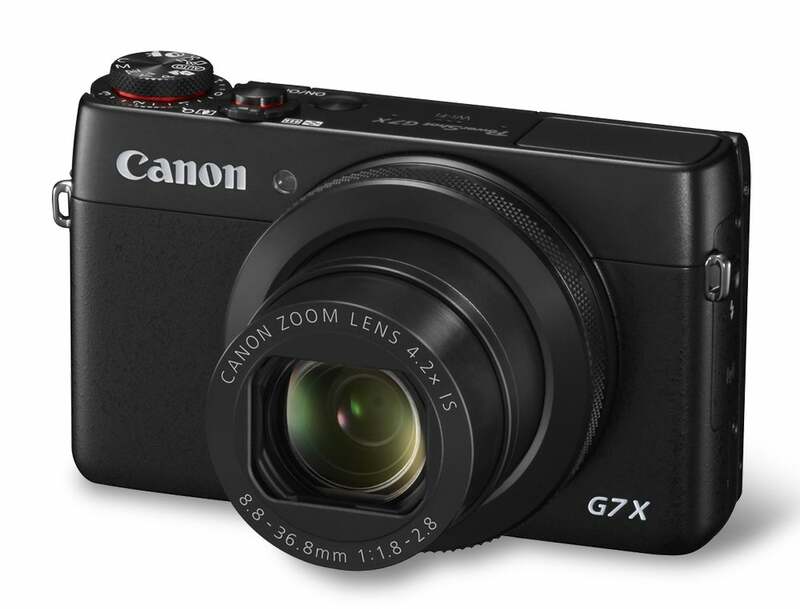 If you’re after a pocket-sized compact capable of delivering excellent results, you’ll want to take a closer look at the Canon PowerShot G7 X. It’s a serious contender to Sony’s RX100 series and offers a more extended zoom range of 24-100mm versus 24-70mm. Key features include a 1in-type 20.2MP sensor, DIGIC 6 processor that allows it to shoot a continuous burst at up to 6.5fps and a built-in ND filter which makes it possible to shoot with the aperture wide open in bright light to give maximum background blur for portraits. It boasts a tilt screen and Wi-fi, too. For the price, you won’t find a much better pocket compact. 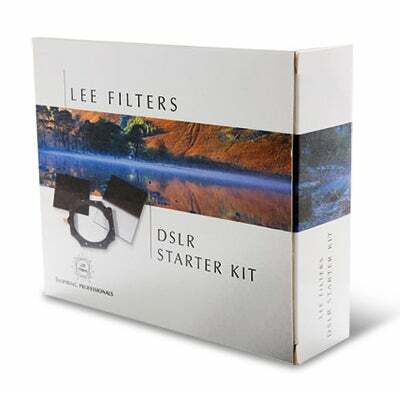 This Lee Filters kit is a great way to build a filter system from scratch and comes with the essentials you need to get started. In the box you get a 0.6 neutral density hard graduated filter, a 0.6 ProGlass ND standard filter, which reduces exposure by two stops, a filter holder that’s pre-assembled ready to accept 100mm filters, a cleaning cloth and a Tri-Pouch that holds up to three filters. The only item not included in the kit that you will need to buy separately is an adaptor ring to mount the filter holder to the lens you intend to use. These can be picked up in all the popular sizes (49mm-105mm) for around £20 each. Though smartphones continue to be the most popular pocket compact for general snapshots, they’re not the best choice when it comes to taking photos off limits. As anyone who’s dropped a smartphone in the sand or by the poolside will tell you, they’re just not rugged enough to survive the inhospitable conditions that can present themselves on a holiday. 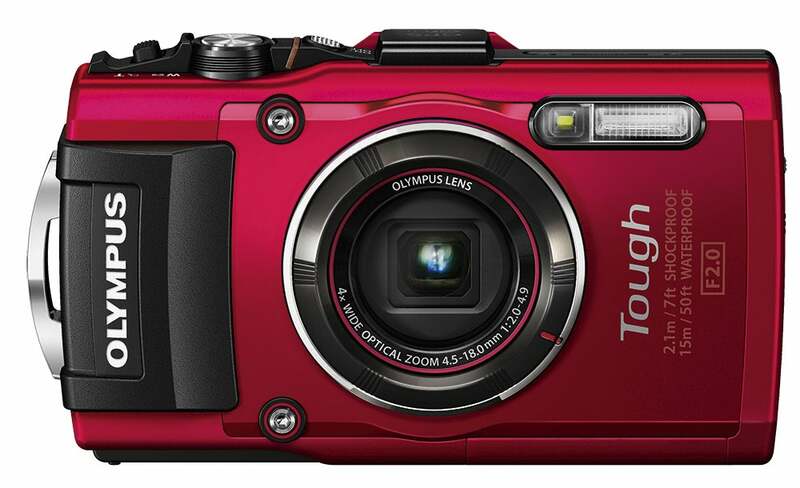 The Olympus Stylus Tough TG-4 is designed to survive whatever is thrown at it. It’s waterproof to a depth of 15m, freezeproof to -10°C, shockproof to 2.1m and crushproof to 100kg. The big news is it can shoot in raw format and it was the overall winner of our group test of tough compacts earlier this year. If you’d like to research locations, check the weather before you go out to shoot, have access to emails, or inspect your results on a larger display, you’ll want to add a tablet to your Christmas wishlist. The iPad Air is just 7.5mm thin and weighs less than half a kilo, which makes it perfect for slipping into your camera bag before heading out on a shoot. The powerful and power-efficient A7 chip with 64-bit architecture makes it remarkably responsive to use and the 9.7in retina screen delivers sensational picture quality. 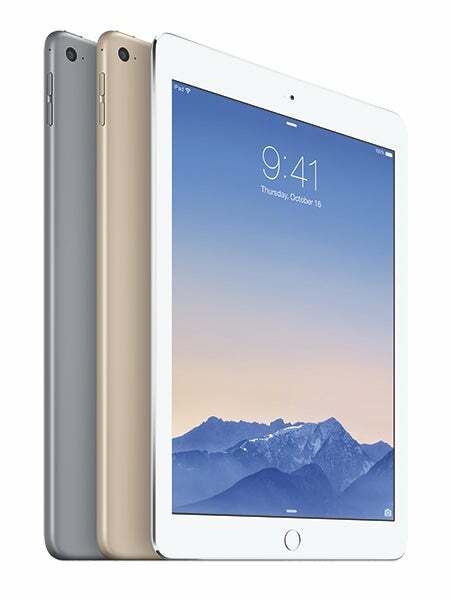 The most basic iPad Air features a 16GB capacity (£319), whereas the 32GB version costs £40 more. Both versions are available in space grey or silver finish. Looking for more storage space for all your high-resolution images and videos? 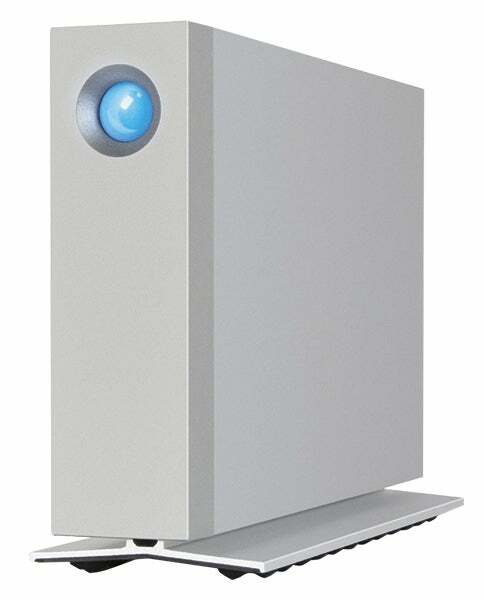 This LaCie hard drive is a fast, reliable storage device suitable for Mac or PC use. It combines a Thunderbolt 2 and USB 3.0 interface to deliver the best possible speed when connected to any late-model PC or Mac computer and combines best-in-class interfaces with a Seagate 6TB 7200rpm hard disk, resulting in stunning speeds of up to 220 MB/s. The all-aluminium unibody enclosure is designed to draw heat away from the hard disk and for serious photographers and professionals it provides everything that is needed for a secure backup. 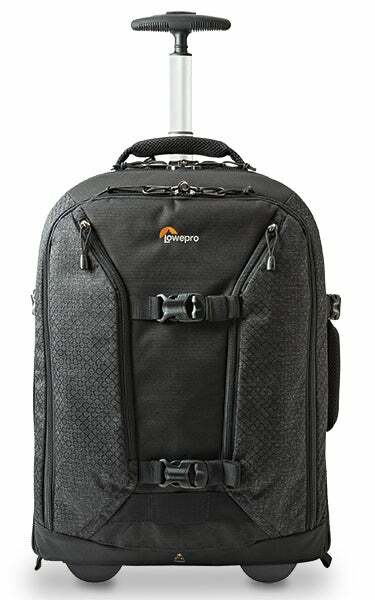 Lowepro’s roller-friendly Pro Runner has a versatile design that allows you to carry it as a backpack or roll it beside you. It’s the perfect solution for photographers who want to be rolling their kit through an airport one minute and then revert to carrying their kit over the shoulders the next out in the field. Full to capacity you’ll be able to squeeze in a pro-spec DSLR with 70-200mm f/2.8 lens attached, four additional lenses including a 24-70mm f/2.8, as well as a spare pro-spec DSLR body and a flashgun. There’s storage space for a 15in laptop and it comes with a built-in all-weather cover and straps to secure a pro-spec tripod. 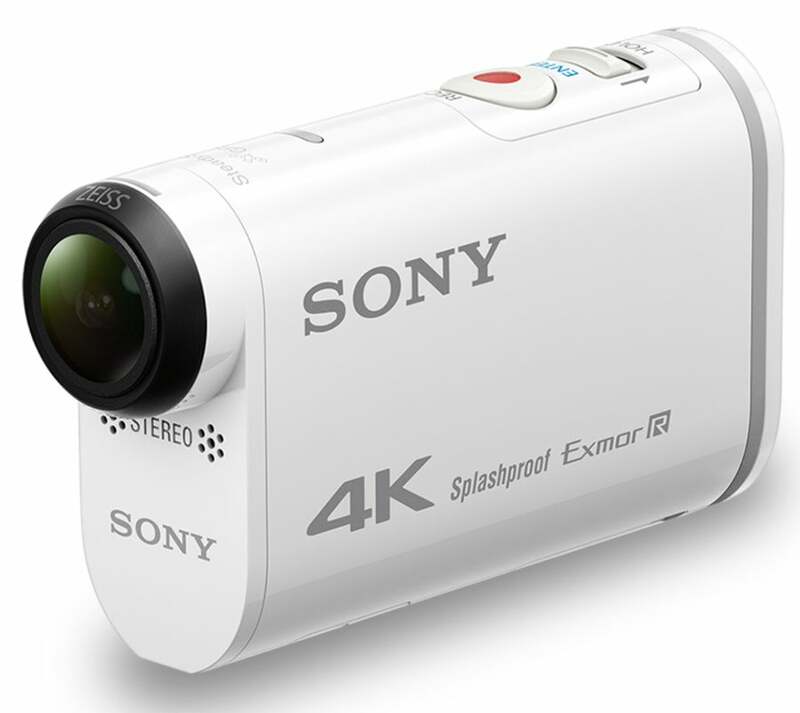 The Sony FDR-X1000V is the latest addition to Sony’s action camera range and combines 4K video recording with a wideangle 170° Zeiss Tessar lens to deliver stunning image quality. Its slimline design will be preferred by some to the ever-popular GoPro Hero 4, and its XAVC S codec ensures beautiful footage with high bitrate 4K/100Mbps and Full HD/50Mpbs recording. As to be expected, the camera features a splashproof design and comes with a waterproof case, which allows it to be used underwater to a depth of 10m. It has a built-in tripod socket and uses Memory Stick Micro or SD/SDHC/SDXC cards. There’s no shortage of camera straps for carrying more than one camera at a time, but the Money Maker from HoldFast isn’t your average camera harness. Made from high-grade leather with metal buckles and fittings, it has a high-end premium finish to match its stylish looks. Setting up the harness is quick, and after throwing the Money Maker over your shoulders, a pair of HoldFast screws are attached via the tripod thread on your camera before they’re secured either side via extremely robust metal clips. 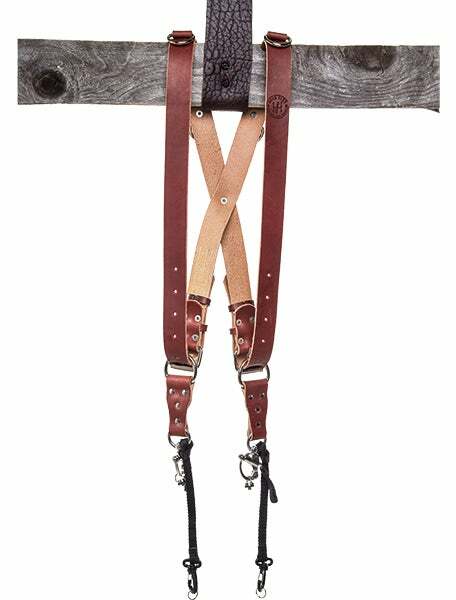 It’s a harness that has been meticulously thought through and is very comfortable to wear for long periods. If you’re getting into portraiture, or are thinking about setting up your own studio, you’ll want to look at buying yourself a set of studio lights. 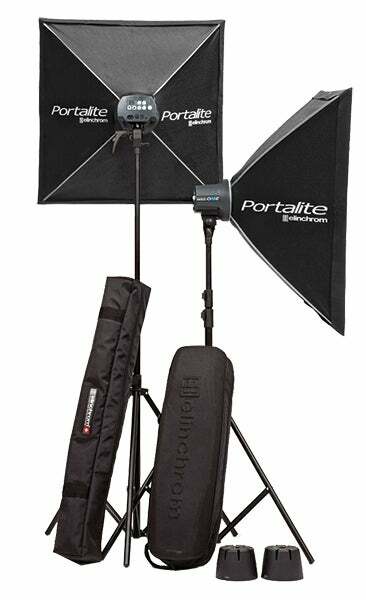 The D-Lite RX Softbox kit includes everything you need to get started, including two heads, two stands, two softboxes, a Skyport transmitter to fire the heads wirelessly, leads, lamps and a carry bag. Offering around twice the output of a standard flashgun, this lighting kit can get you out of trouble when you’re working in low-light situations. It can also provide vital fill-in flash when working in high-contrast lighting conditions. It’s a mains-powered kit and reflectors and umbrellas will need to be purchased separately.